Reach for Infinity, LLC, is a management development company devoted to helping managers engineer their own approach to leadership and growth without limits. Founded in 2015 by Sunit Rikhi after retiring from a 30-year career with Intel as Vice President and General Manager of Intel Custom Foundry, Reach for Infinity brings a lifetime of career learning to help you navigate your journey better so the impact of your contribution is worthy of your potential. Allow Sunit to walk with you on your journey, which will be guided by his philosophy, below. I am Sunit Rikhi. This is my blog, a post for managers engineering their own approach to leadership and growth without limits. Join me in the Reach. Subscribe to my blog. In his 30 year career as an Intel executive, SUNIT RIKHI pioneered several game-changing initiatives and contributed significantly to the shaping of the semiconductor industry and our way of life on earth today. 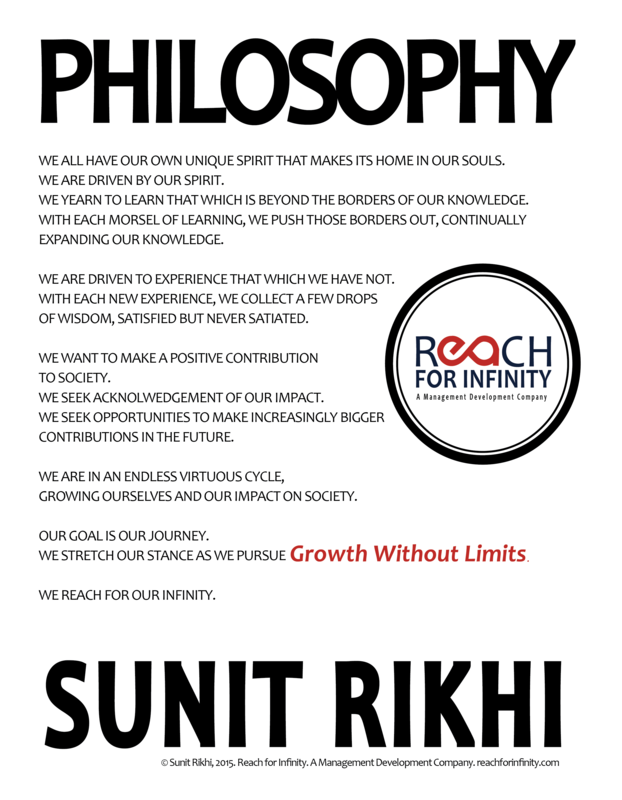 Through Reach for Infinity, Sunit shares his leadership learning and how you and your team can engineer your own legendary leadership and growth without limits.